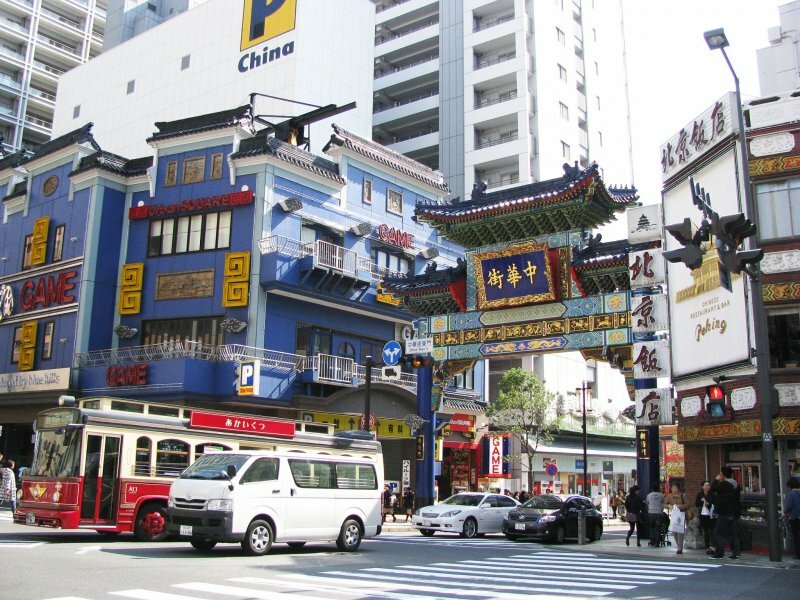 Yokohama Chinatown, or Chūkagai, is the largest in Japan. 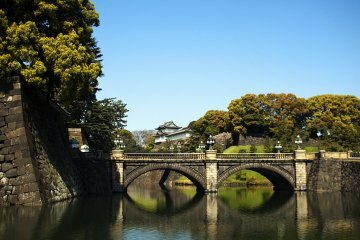 It's located in central Yokohama. 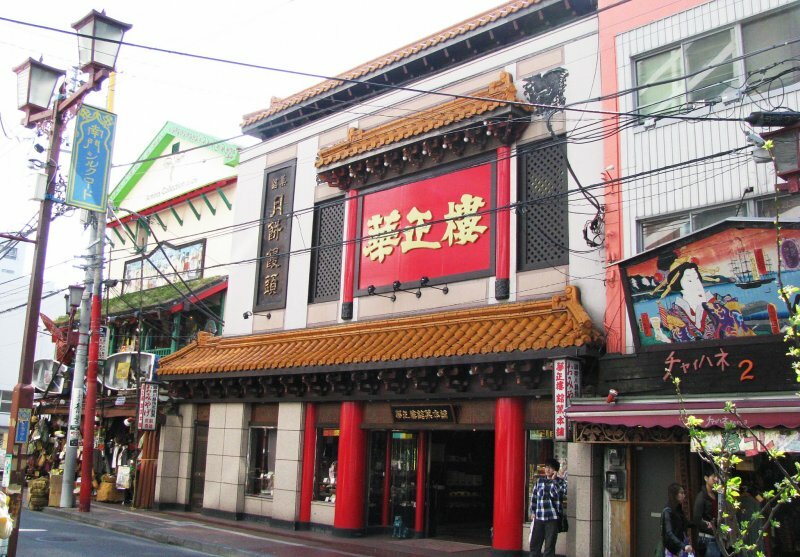 A large number of Chinese stores and restaurants can be found in the streets of Chinatown. 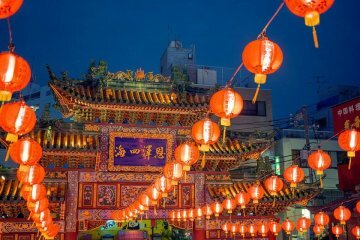 Various events and festivals such as Chinese New Year are also held there. 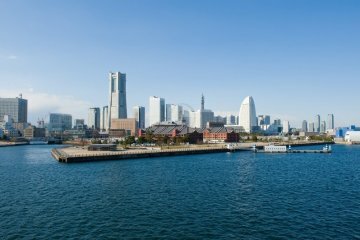 In 1859, the port of Yokohama became one of the first Japanese ports opened to foreign trade. 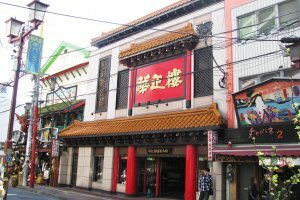 Yokohama Chinatown became the residence of the many Chinese traders who settled down in the city ad developed very quickly. 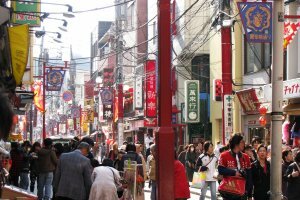 Today, there are more businesses than actual residents living in the area. Four colorful gates stand at the entrances to Chinatown, and five more gates can be found within. 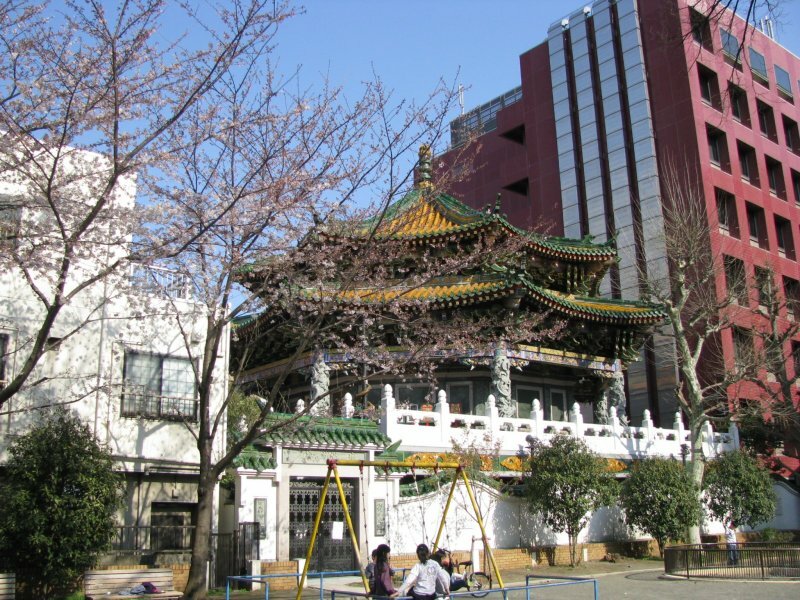 The Masobyo is the same style temple in the center of Chinatown. 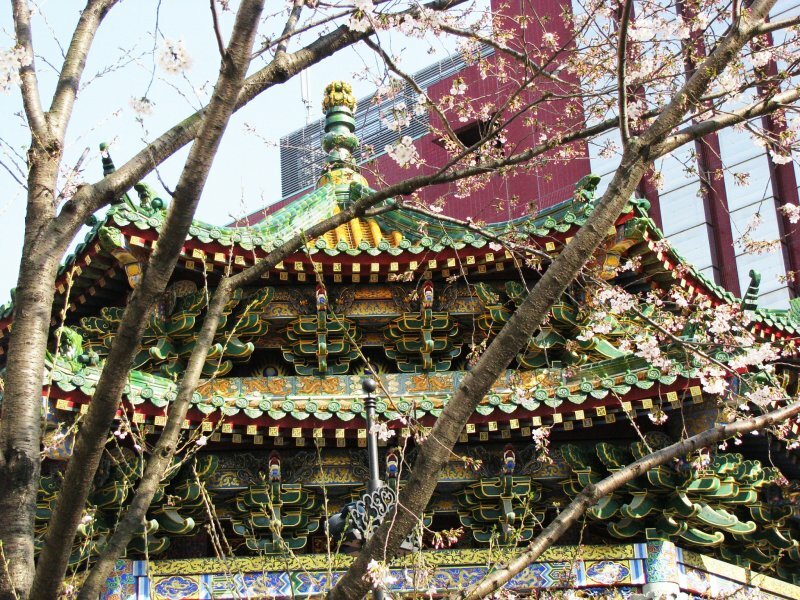 Constructed in 1873 by Chinese residents, it is dedicated to the Chinese god of good business and prosperity. 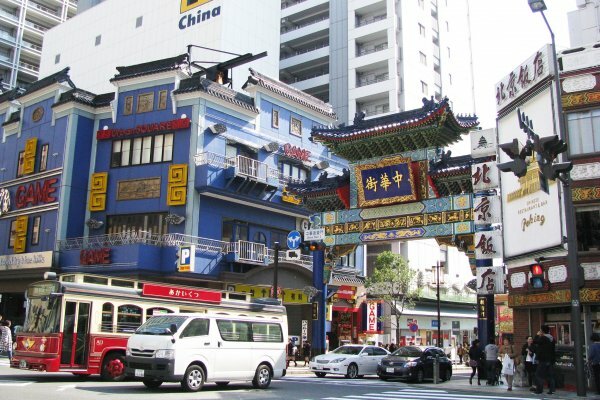 Having something in common, Chinese and Japanese architecture is different. I can distinguish it at once by details, colors, and few other different traits. 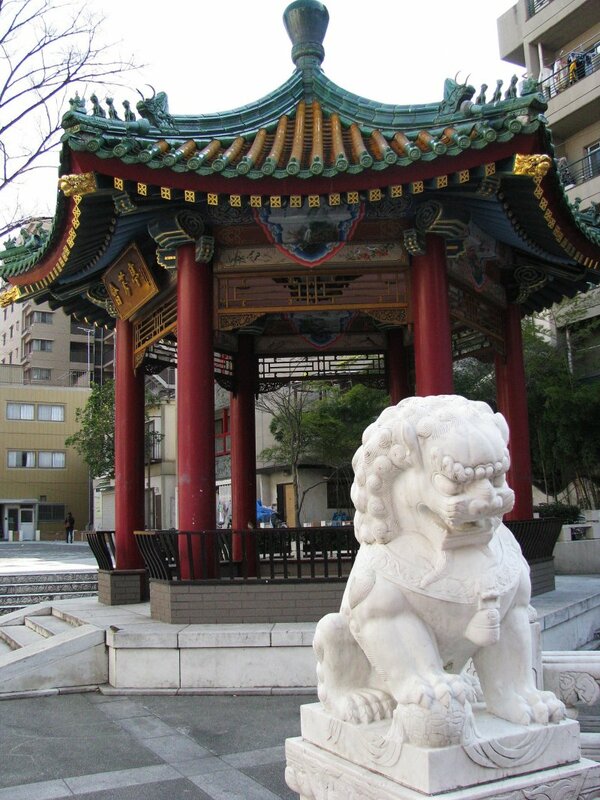 The area around the Masabyo temple is good for taking some rest. That's exactly what I did, as it was a warm spring day. 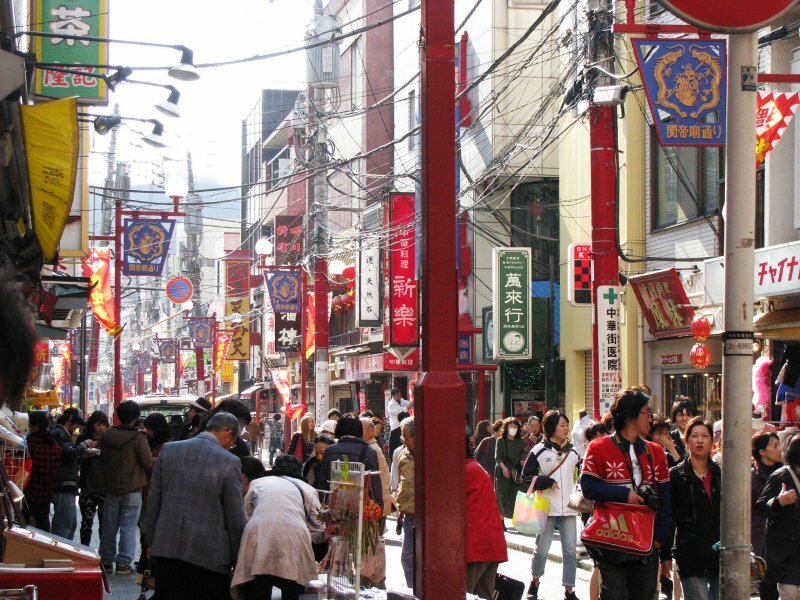 Walking along crowded streets and shopping is not my cup of tea! 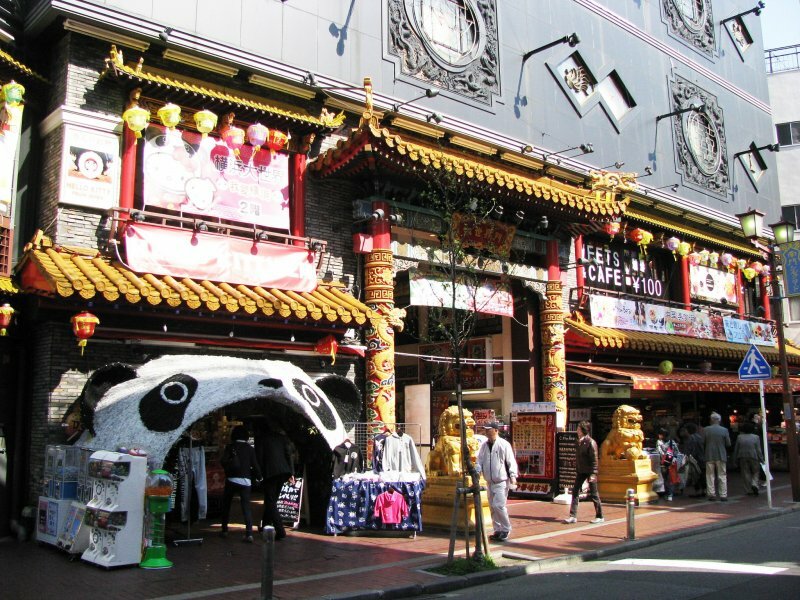 The main attraction of the Yokohama Chinatown, however, is the cuisine offered at its many restaurants and food stands. 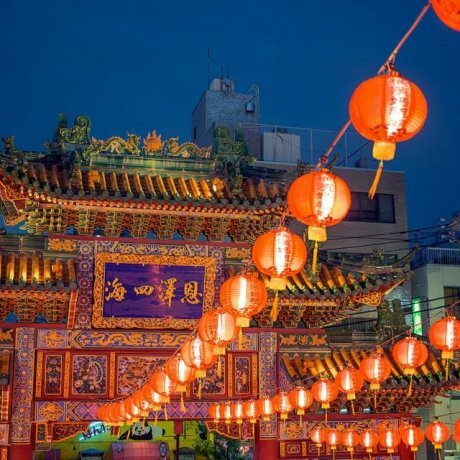 Popular favorites include steamed buns (manju), ramen, gyoza, and a wide array of other Chinese dishes, many of which have been Japanized to a certain degree to fit the local taste. 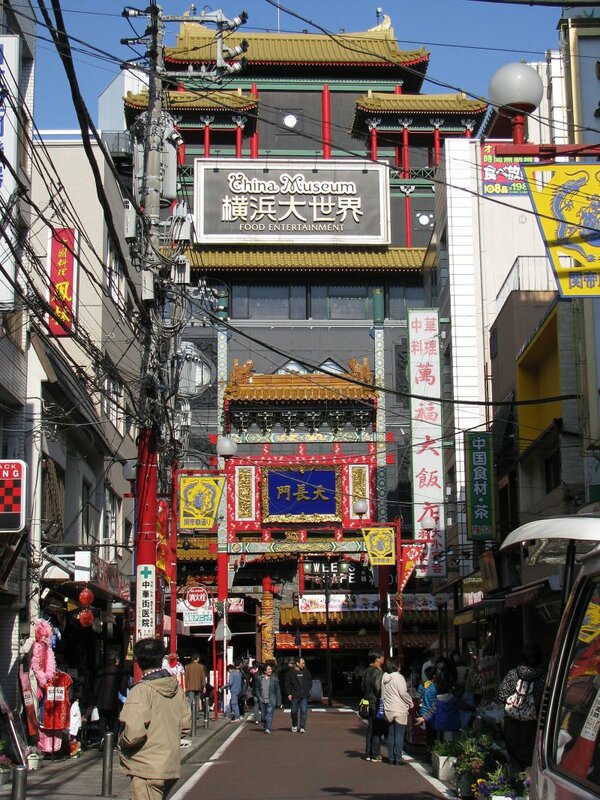 I found Chinatown by chance, walking in Yokohama. It was lunch time and I felt hungry. 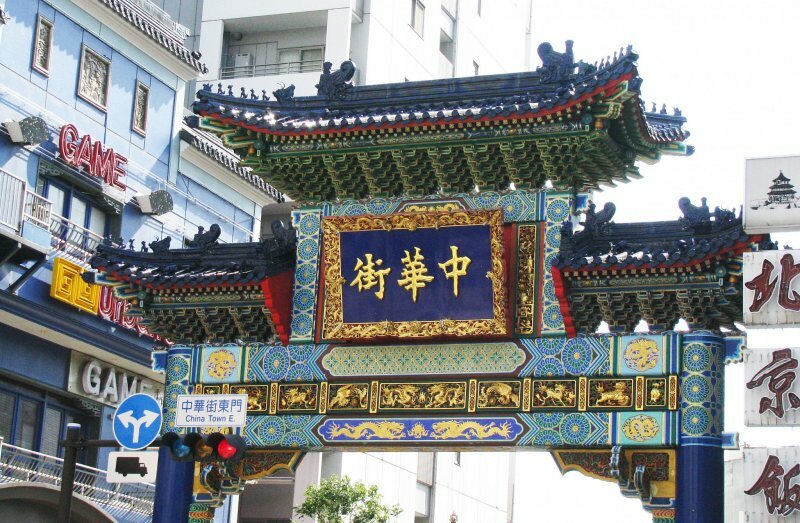 I used to like Chinese food, so I entered Chinatown. 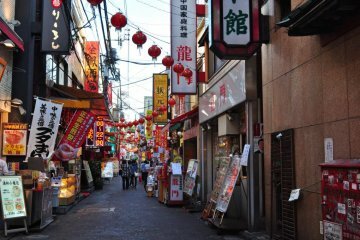 To be honest, I was lost because there was a great variety of places and dishes to choose from. 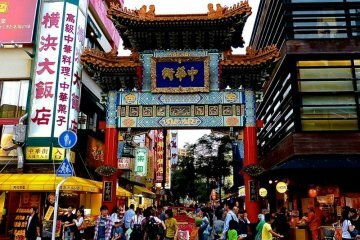 The streets of Chinatown were very busy as well as restaurants. 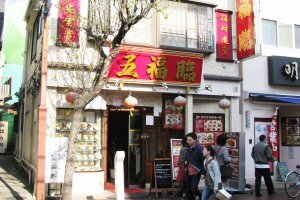 Many of them displayed photos of dishes and prices in the showcases. I presume it was made for tourists for easy orientation. 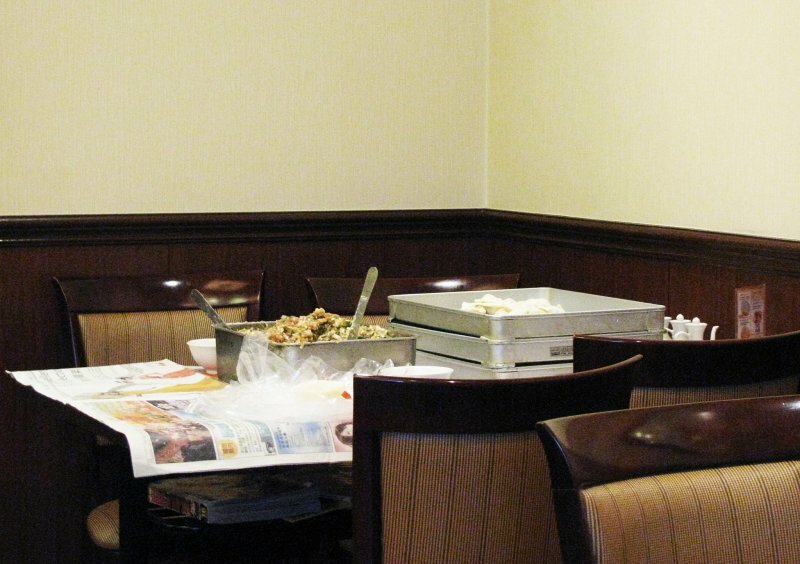 But even after looking at the photos, it was hard to imagine the taste of one or another dish. 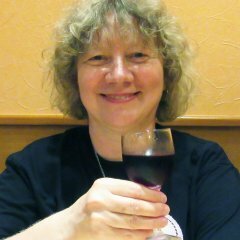 I hesitated and finally chose a rather quiet restaurant with familiar gyoza! 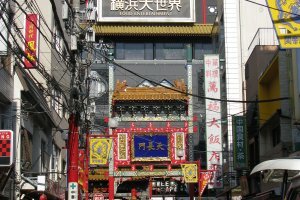 In Japan, there are many places where you can watch the process of cooking dishes, including the restaurant I stopped in for lunch. 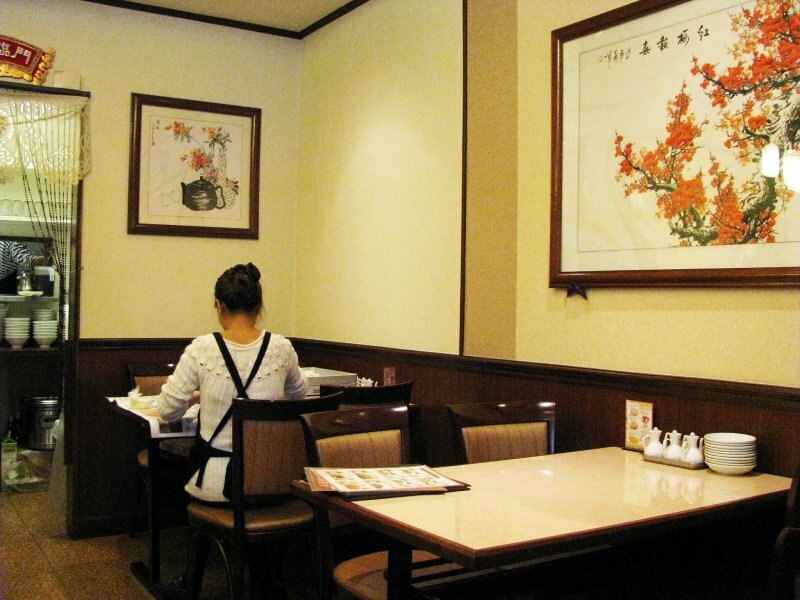 In the corner, two women made gyoza. 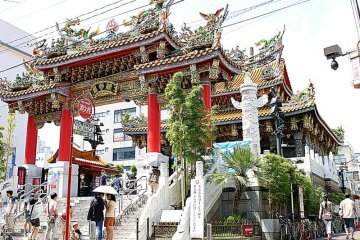 I liked the taste of gyoza there. It reminded me of what I had eaten during my childhood. 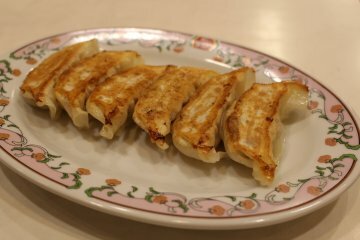 My grandmother's students were Chinese and they made gyoza which I ate. 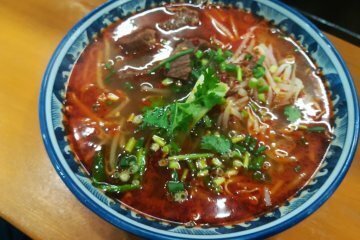 In Russia, we have a similar dish that probably came from China. It's called "pelmeni" and they are smaller in size than gyoza. 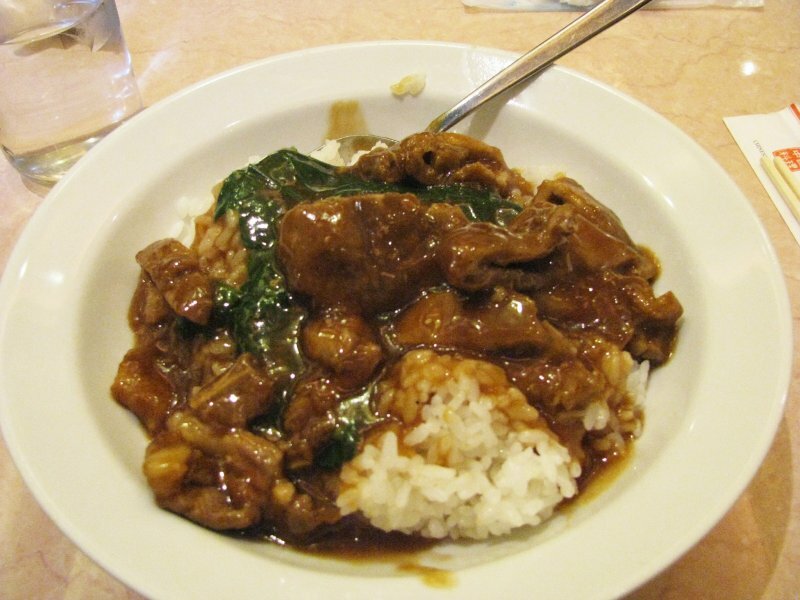 The filling can be different - meat, cabbage, or potato. Chinese students taught my family to make the filling that was the mixture of meat and cabbage. 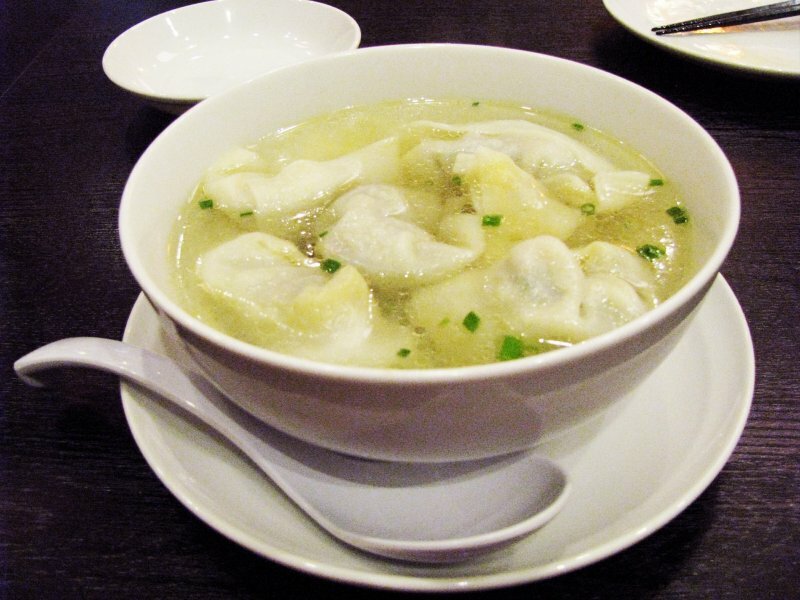 We called it "Chinese pelmeni." 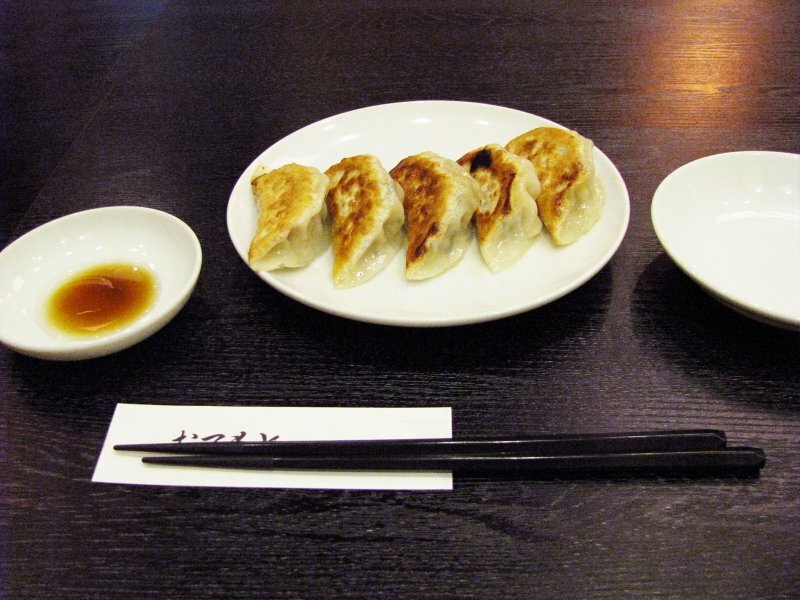 After eating gyoza in Japan, it brings back memories from my childhood. After lunch, I walked around Chinatown for some time. The variety of goods made me feel a little ill. 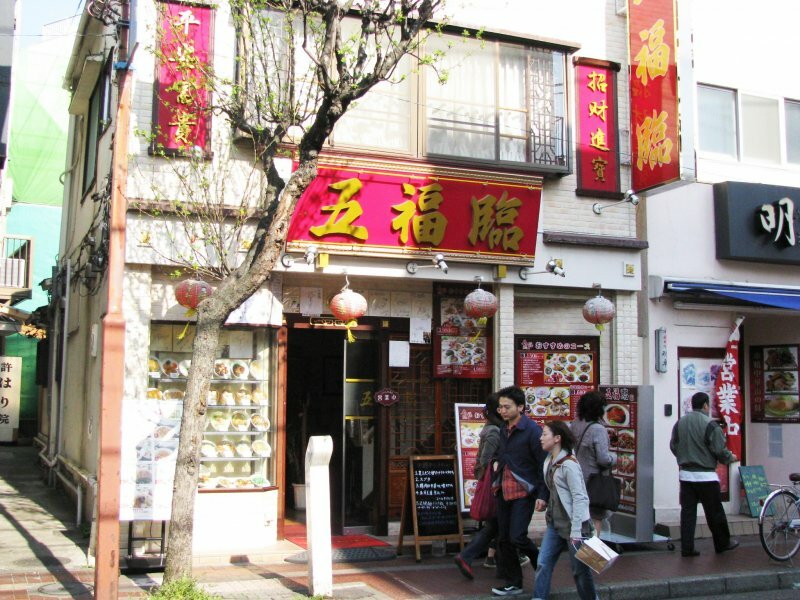 But by the end of my visit, I ate one more dish in another place to be fully satisfied!